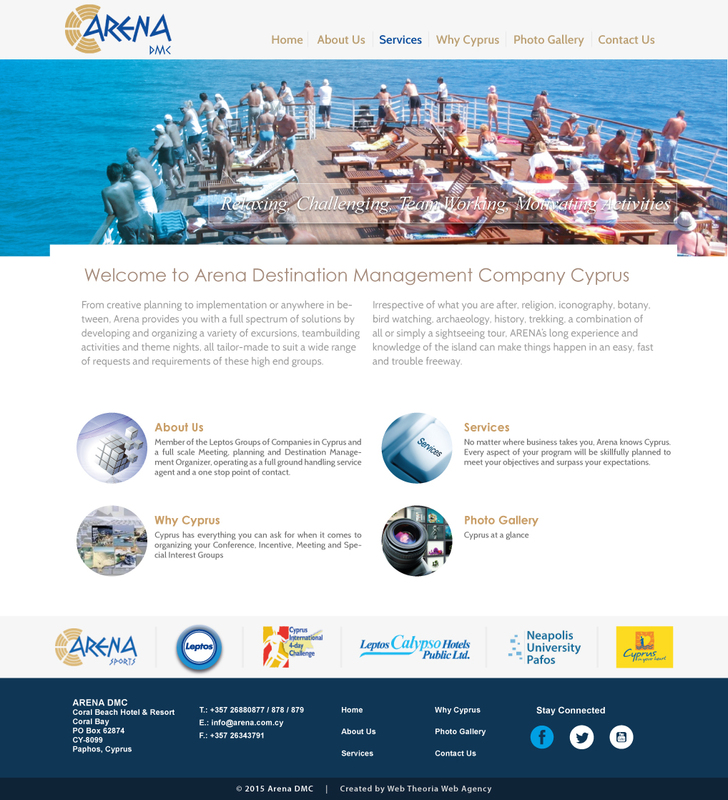 Arena DMC is a member of the Leptos Group of Companies in Cyprus and a full-scale Meeting, Planning and Destination Management Organizer, operating as a full ground handling service agent and a one-stop point of contact for Conference, Incentive and Special Interest groups visiting the island. 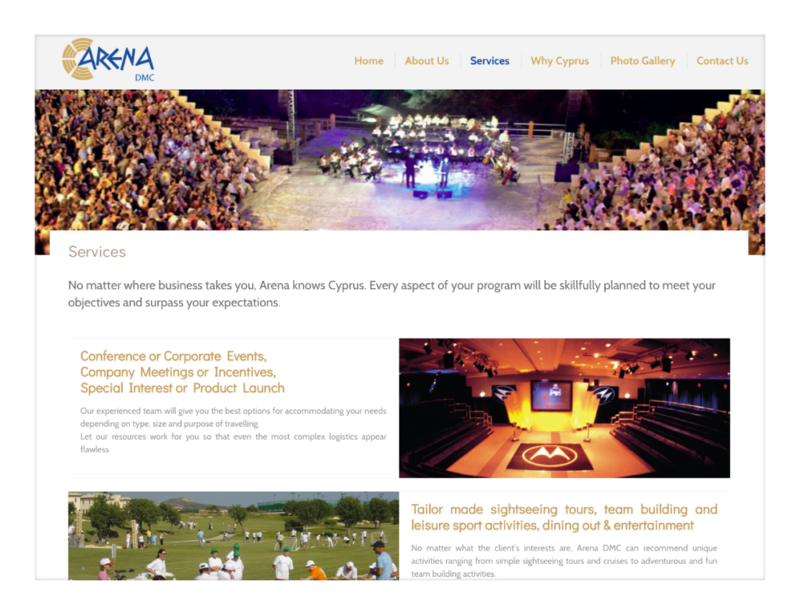 Arena Destination Management Company Cyprus Ltd provided us with the honour of collaborating with their unbelievable team! This project has probably been the easiest to work on due to the extreme communication, support, professionalism and cooperation of Arena DMC’s staff. You simply can’t find more friendly, polite and responsive people than our dear friends there! Thank you! We could work with you guys for a thousand years! We hope all the best for your endeavours.